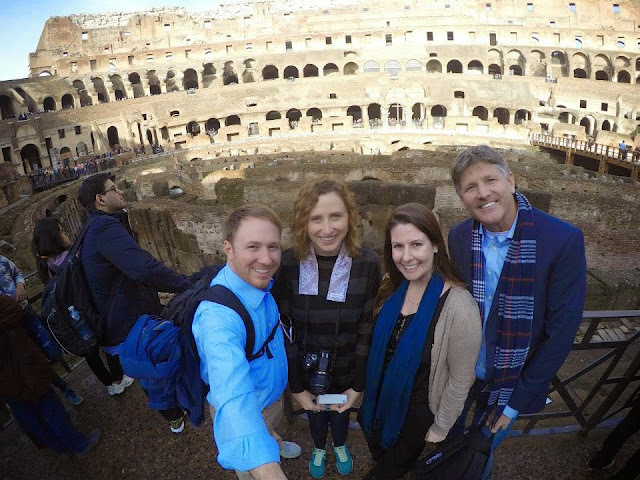 "The best week of my entire life," was how James described our trip to Italy in the fall of 2014. While it was a fast-paced trip covering a lot of ground, it truly was an unforgettable experience. We began in Rome: James flying down from Finland and me over from the U.S. We spent the weekend there with friends running through the city and taking in the historic sites ... the Spanish Steps, the Colosseum, the Pantheon, Trevi Fountain, and others before closing the weekend on the Ponte Milvio at sunset with our engagement. Rome served as our home base while we jutted off to Tunisia and Malta. 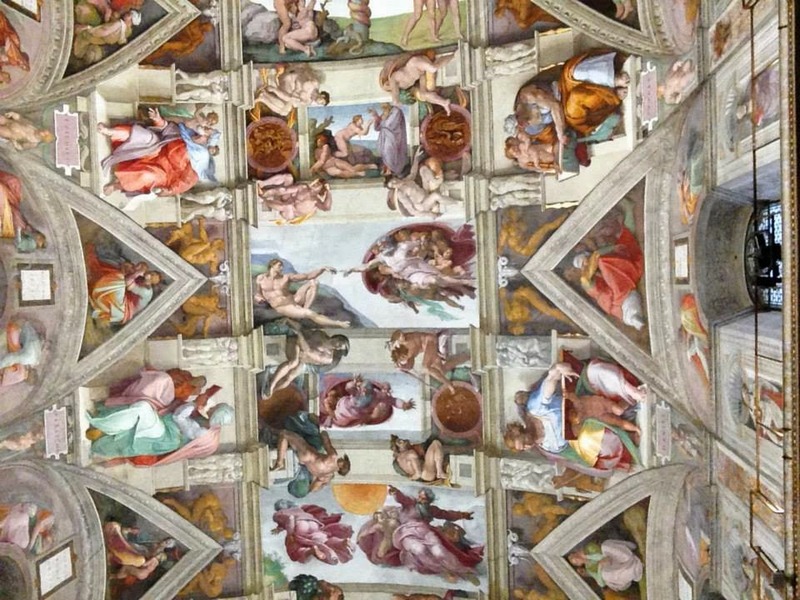 After we strolled through the Vatican City, we rented a car and drove through the Italian countryside. We cruised through Spoleto and then landed in Rimini where James dipped in toes in the Adriatic Sea. 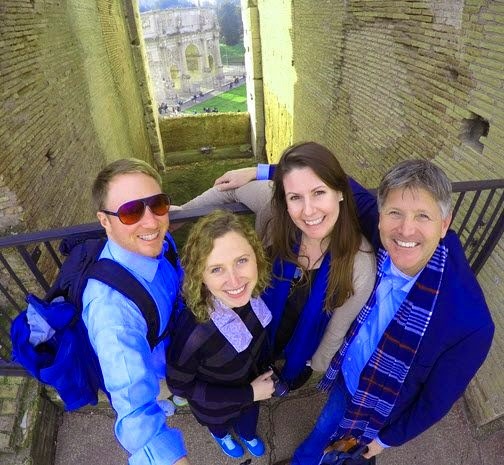 We enjoyed a day excursion to the mountaintop city state of San Marino before we ventured through Bologna to Florence. Florence is my favorite city in Italy. Small enough to feel cozy but large enough to fill your days exploring amazing places. 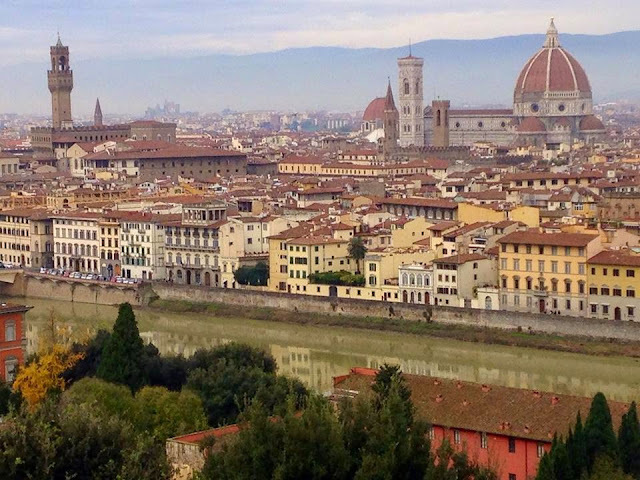 I took James to the Piazzale Michelangelo for one of the most breath-taking views in Italy and then on to the Florence Cathedral, Ponte Vecchio and more. We climbed the 463 steps to the top of Florence's Duomo and enjoyed countless beautiful meals ... and many bottles of wine!